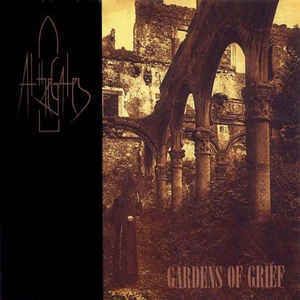 “Gardens of Grief” is a 1991 EP by Swedish melodic death metal band At The Gates. “Gardens of Grief” was recorded just four months after the legendary death metal band had formed. The sound here is a lot more elemental and unfocused than the masterworks the band would subsequently put out, but the spark of talent is clearly evident over the course of the EP’s four tracks.